This is not your average yoga teacher training. If you desire real change in your life, and have the hunger and determination for it to occur now, then Swastha Yoga can be the catalyst for revealing the obstacles that stand in your way, for acquiring the necessary tools to create powerful transformation, and for sustaining this change through a supportive and authentic community. Swastha is an Ayurvedic term meaning to be fully established in oneself and in completely balanced health on all levels of our being (physical, emotional, cognitive). If you are ready to create the truest kind of health and wellbeing (swastha) for yourself, then this Training is for you. Swastha Yoga International is the co-creation of Ayurveda (the science of life), Yoga (the practice of this science) and human potential principles (origin of movement) that support the ability to maintain this balance throughout our lifetime. Through the integration of specific practices and techniques unique to Yoga, Ayurveda, and human develpment, students learn to integrate practices that cultivate greater healing and balance on all levels. Our program uses a holistic and practical approach in guiding practitioners towards an optimal sense of purpose, practice and possibility; offering an immense opportunity for personal development; and promoting enhanced wellbeing in all areas of life. We believe that every experience is a window of opportunity to cultivate a deeper awareness and insight into the quality and state of our overall health. Through a system that addresses all layers of our Being, we are able to cultivate sensitivity, vitality, efficiency, alignment and clarity on all levels; ultimately supporting and leading to an enhanced state of swastha. Upon completion of the training, our graduates are eligible to apply for 200 hr Registered Yoga Teacher (RYT) status by contacting yogaalliance.org for registration. Visit Swastha Yoga International for more program information. "I see yoga as my opportunity to close my eyes and see more clearly." With a Bachelor of Education and Masters in Wholistic Therapy, Serena's yoga teaching of over 17 years is supported by life-long practice and deep exploration into the art and science of yoga, yoga therapy, holistic health, physical and subtle body anatomy & physiology and Ayurveda. Having completed programs of study in Ashtanga Yoga, Integrative Yoga Therapy, Wholistic Therapy, and Ayurveda in America, Canada and India, Serena provides an integrated and well-rounded approach to her offerings and is grateful to her inspiring teachers and mentors from around the world; including Dr. Vasant Lad, Dr. Rajesh Kotecha, Dr. Scott Blossom, Tias & Surya Little, Joseph & Lilian Lepage, Sri Geeta Iyengar, and especially her very first ‘guru' - her dad. As owner, creative director and sole teacher of yoga studio retreat Thrive Naturally, Serena served the community at large, offering a wide range of yoga and wellness classes, workshops, retreats, trainings, and general human and planetary wellness education; inspiring her students from babies to baby-boomers and beyond. Serena holds sweet authentic space for her students; guiding them through deep, flowing, contemplative, breath-centered practices that lead to transformation, expansion, and ultimately, change. Most recently, Serena was on the teaching faculty at the Ayurvedic Institute in Albuquerque, New Mexico; integrating her passion of living yoga and Ayurveda. She also serves as Affiliate Trainer for the 200 hour Integrative Yoga Therapy Yoga Teacher Training, as well as co-trainer for the 300 hour Soma Yoga Institute Advanced Teacher Training; leading training programs around the world. Her authentic teaching style, unique creativity, and warm humor is often contagious and Serena is grateful to be able to inspire, affect change, and transform lives through Yoga & Ayurveda. As creator and co-founder of Peace Retreat and Swastha Yoga International, Kevin has fulfilled his long-time intention of creating a unique setting for conscious integrated learning in the form of a yoga-inspired wellness retreat and learning center in Costa Rica; founded on the principles of holistic healing and the art of living well. Kevin has been practicing and teaching yoga classes for over 15 years and, as a catalyst in the realm of human potential, continues to facilitate uniquely meaningful yoga teacher trainings, classes, leadership workshops and programs. He co-founded and co-developed yoga studios in Canada, various yoga programs and schools in America, and also worked closely with Baron Baptiste as Program Team Manager, Production Supervisor, and Facilitator for Baptiste Power Yoga Institute teacher training programs internationally. Most recently Kevin co-founded Swastha Yoga International, an integrated yoga educational retreat and teacher training program co-created based on the unique art and science of Ayurveda, Yoga, and human potential principles. Kevin shares his way of teaching internationally by way of yoga based classes, workshops, leadership and teacher training programs and is committed to living and teaching with purpose, inclusivity, and passion. Once you decide you would like to join us, please complete the registration form and place your $500 non-refundable deposit. This will ensure that your room preference (if applicable) is secured, and your spot in the program reserved. Your deposit payment will apply directly to the overall program tuition. Seats in these programs are limited and programs typically fill to capacity. It is highly recommended that you register early to ensure space and to ensure that your top choice room options are still available (if applicable). Accommodation upgrades available upon request. • Deposit is due at time of booking to secure your spot and is NON REFUNDABLE • Full payment is due no less than 8 weeks prior to program start date • If you cancel 8 weeks or more prior to the start date, we will credit any amount paid (less the deposit) for future events with Swastha Yoga • No refunds or credits within 59 days from the program start date. 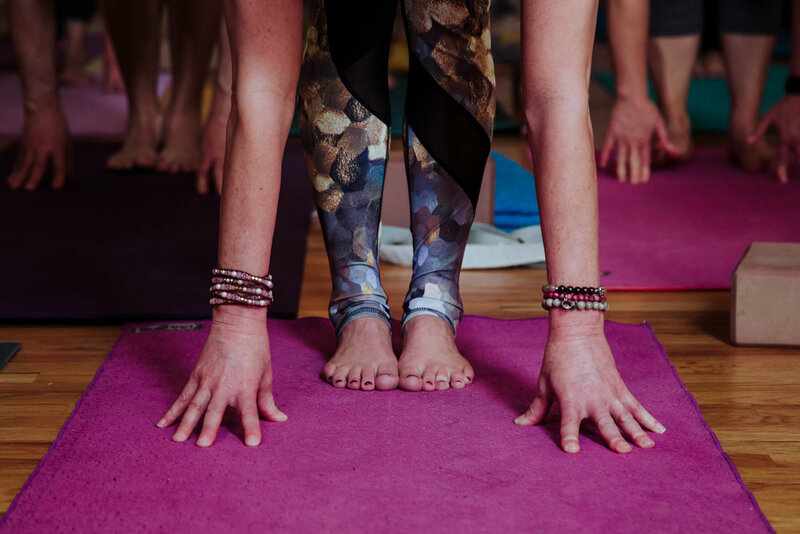 • If you have to cancel due to a family or medical emergency, we will apply your payment toward future events with Swastha Yoga; no refunds will be offered. • In the unlikely event that we have to cancel the program, you will receive a full refund. Please send me a detailed program guide. * Yes, I would like to learn more about your program. No thanks, I just have a question. Questions? Would love to chat. More information is on it's way! If not received within 24 hours, please be sure to check spam & junk folders.